The fourth and final tetrad of the Anapanasati Sutta is called the Wisdom Group. Continuing to be present with the breath, the Buddha instructs us first to focus on impermanence. We can do this by noting how sensations in the body arise and fall away, how the breath itself changes over the course of our meditation practice. Then he asks us to focus on ‘fading away’. What could this mean? Is it the edges of who we hold ourselves to be that fade away? With your eyes closed, see if you can tell where this defined person you call ‘me’ ends and where ‘other’ begins. Without the sense of sight those edges disappear, don’t they. With the eyes closed the sense of body loses its tight definition. And with a focus on the breath we are even less sure about clearly defined edges, aren’t we? The breath is inside us and outside us. Where are the boundaries we previously took for granted? Next the Buddha asks us to focus on cessation as we breathe. We know that life in this body is temporal, but in this culture we like to pretend that death is an option. I was reminded of this recently when my husband and I were in Mexico writing our Mexican wills and we were asked to write out When I die…. American wills shy away from such a simple statement of fact. I thought maybe they say something like ‘in the case of my demise’ but when I looked up a standard will template I discovered it avoids the mention death at all, just leaps right into instructions to the heirs! That’s how much we are in denial about our own death in this country. The death of strangers in the news, movies and books we find fascinating, but we’re not able to acknowledge that such an event is in the cards for us. Coming into a deep awareness of the temporal nature of our lives is not depressing but freeing. Our acceptance illuminates the value of being fully here to enjoy life in this moment. It lets us see it as a natural part of the cycle of life. You can investigate this yourself by sitting with awareness of your temporal nature. You might say to yourself, ‘On some undisclosed date I will definitely die.’ And then sit with that and see what you notice. Is there added tension in the body? Does the breath get shallower? What emotions and thoughts arise in your awareness? The last step in the Anapanasati Sutta asks us to focus on relinquishment. When we understand and accept the temporal nature of life, accept that this body is an integral part of a whole complex set of processes and is not separate, and accept that everything is impermanent, then what is it we are relinquishing? We relinquish our fear. We relinquish our clinging to beliefs that don’t serve us. We relinquish it all and open to the joy of awakening to this moment, just as it is with clarity and compassion. So those are the sixteen steps. If it interests you then you can read Larry Rosenberg’s book Breath by Breath. 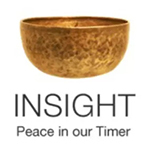 You can also listen to the dharmaseed.org recordings of Tempel Smith’s daylong retreat at Spirit Rock that I attended in March 2015. This entry was posted in Anapanasati Sutta, death, dharmaseed.org, http://schemas.google.com/blogger/2008/kind#post, impermanence, Larry Rosenberg, Tempel Smith on June 12, 2015 by Stephanie Noble.